The luxury carmaker Infiniti has recently declared prices for its 2015 models. 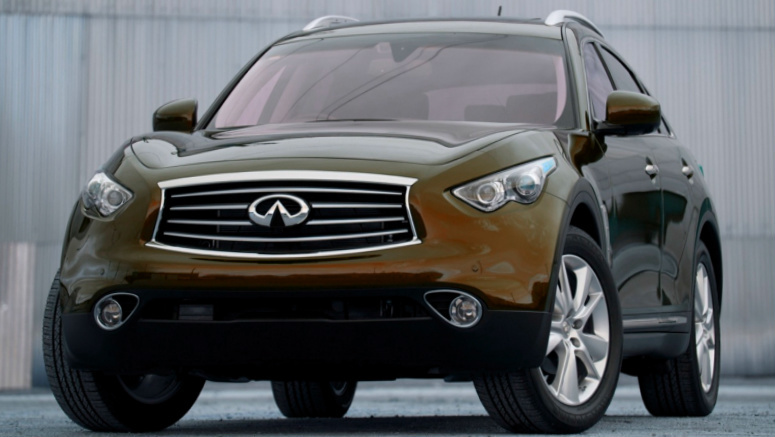 Infiniti announced new prices for its both redesigned FX and EX, which became the QX70 and QX50 respectively. According to the official data, the new QX50 will cost from 35,995 dollars and the QX70 of the same model year will have the starting price of 46,845 dollars. The QX50 of next year is more expensive than the previous year model by 150 dollars but the update novelty is equipped with the standard feature as Bluetooth. The carmaker still offers the rear-wheel drive as standard but if you want the all-wheel-drive variant, you will pay 1,400 dollars more. Then about powertrains. The new QX50 is equipped with the 3.7-liter V6 engine, which is able to produce 325 horsepower. This novelty is available in three packs: the Technology pack, Deluxe Touring pack and the Premium pack as well. The new QX70 is much more expensive than its predecessor by 900 dollars. This novelty is offered in the special Sport pack, which includes adaptive headlights, 21-inch alloy wheels, climate control and new darkened elements in the renewed exterior. The QX70 is available with the same three different packages as the new QX50. The all-wheel drive is an optional feature that costs extra 1,450 dollars. Unfortunately, we will not see the QX70 with the 5.0-liter V8 powertrain; instead, the new model will get the same engine as the new QX50.